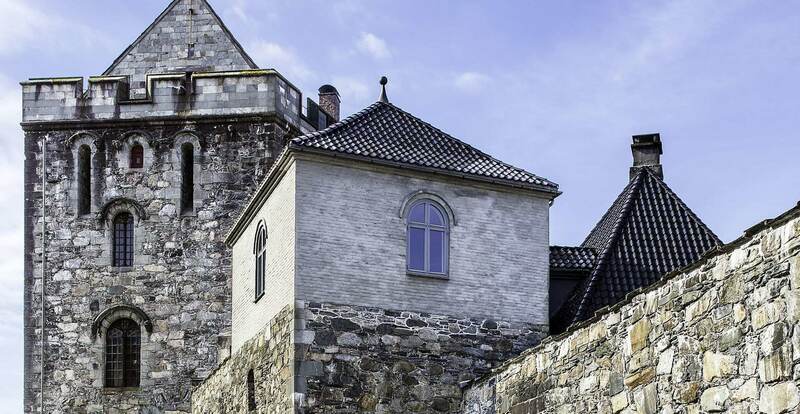 The Rosenkrantz Tower is considered one of the most important renaissance monuments in Norway. Parts of the tower are from the 1270s, but it has been extended on several occasions for the purpose of fortification and as a demonstration of power. If you climb up the narrow and dark flights of stairs you can climb right up onto the roof, which provides impressive views. The tower was the residence of King Eirik Magnusson, who was the last king to hold court in Bergen, until he died in 1299. Later the tower housed less fortunate residents – the cellar contains the notorious dungeon, which was probably in use well into the 19th century.